Mumbai: The auto sales have been witnessing a prolonged slowdown owing to weak consumer demand. As per data from the Society of Automobile Manufacturers Association (SIAM), the total sales in domestic cars declined by 6.87% in March. However, there is an uptick in the used car market. “The new car market sales have been muted—hardly growing by 2.5-3% year-on-year. However, used car market is growing at 15-18%. Last year, new cars closed at 3.3 million in sales, while used car market would have sold not less than 4 million cars. Around five years ago, sales of used cars were lower than new cars. Now it is 1.3 times of the new car market. Globally, used car market is usually 2.5 to 3 times the new car market,” said Ravi Narayan, head-secured assets, ICICI Bank Ltd. When you are buying a used car, you need to first check all the documents. “The RC book needs to be clean. The financial institution would want to know if all the documents of the asset are clear. For instance, what if it is a car stolen,” said Narayan. The financial institution will not want to take the risk. 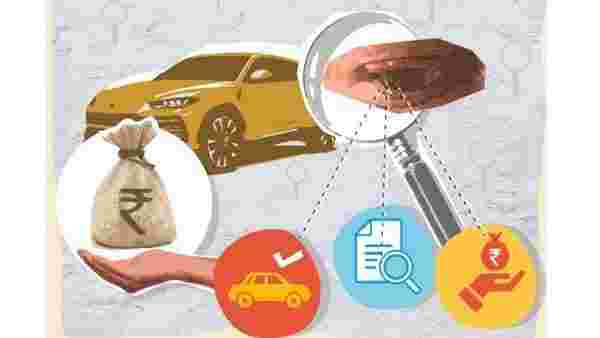 “Banks will evaluate the document and value the car independently as well as based on internal parameters before deciding to lend,” said Vyomesh Kapasi, chief executive officer and managing director, Kotak Mahindra Prime Ltd.
Financiers look for organised seller because in case of an unorganised one, there is no proper invoice. The value of used car can differ depending on the usage, the number of people who have used the car, how many times it has been transferred and the mileage. “There could be two cars which is one year old, one might have done 50,000 km and another must have crossed 10,000 km. Obviously the value of the car would be different. The economic value of the car needs to be estimated,” said Narayan. The interest rate is usually 100250 basis points (bps) more than new car because of all these reasons. Also typically, the delinquency in used car market is higher than the new car market. Generally at the industry level, you will not get financing if a car is 10 years old at the end of the contract. “If someone still decided to finance it, you will get a higher price. For example, if you buy a car manufactured in 2012, today it will be seven years old. You will find it difficult to get a loan for more than three years on that car. By the end of the contract of the loan, the car will be 10 years old. Generally companies like to keep it at eight years,” Kapasi said. However, it differs from bank to bank in terms of documentation.